Ask the Expert: Daniel Y. 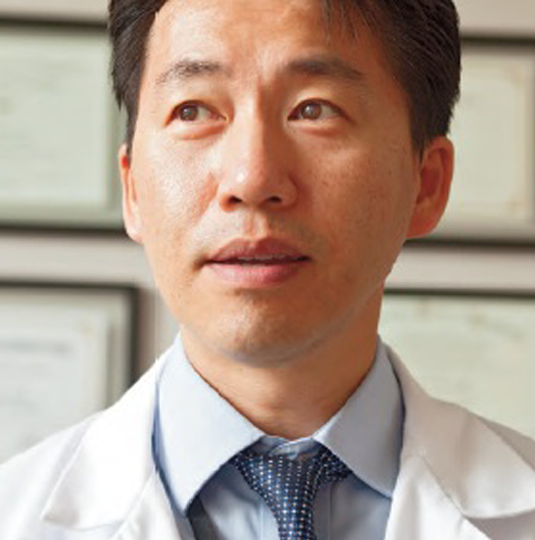 Song, MD. Yes. Although data show that brachytherapy use has declined over the past decade, there is growing evidence that brachytherapy is one of the most effective treatments against prostate cancer, particularly those with “high risk” or “very high- risk” cancers. A recent phase 3 randomized trial from Canada (ASCENDE-RT) demonstrated significant improvement in long-term biochemical control amongst intermediate- and high-risk patients when brachytherapy was added as a boost to external beam and hormonal suppression.1 Another recent large multi-institutional study published in JAMA compared patients with Gleason 9 or 10 cancers who received either surgery (+/- adjuvant or salvage radiation), external radiation + hormonal suppression, or brachytherapy combined with external radiation + hormonal suppression.2 Patients who received the brachytherapy combination had superior rates of long-term freedom from metastasis and lower prostate-cancer related mortality compared to the other two groups. Several retrospective studies have found that brachytherapy is associated with better biochemical control rates than EBRT for low- and intermediate-risk prostate cancers, and the above-noted studies also indicate better results for high-risk cancers as well. The one notable adverse effect from brachytherapy is a comparatively higher incidence of urinary obstructive and irritative symptoms, but most patients will experience these symptoms for a limited period of time and not have permanent effects. Brachytherapy has been associated with lower risk of rectal symptoms than external beam radiation, as well as lower risk of erectile dysfunction compared to surgery. I think the current major issue is underutilization. The use of brachytherapy declined starting in the early 2000s, despite growing evidence of its comparative effectiveness. It is thought that this is at least partially related to greater utilization of more highly-compensated external beam treatments, as well as increasing patterns of self-referral to physician-owned radiation centers. Another factor has been competition from shorter, more convenient schedules of external beam treatment such as stereotactic body radiation. Unfortunately, it also becomes a self-perpetuating cycle because fewer brachytherapy procedures means fewer opportunities for trainee involvement and learning, and there is also evidence that patients of physicians who do not perform brachytherapy receive brachytherapy at lower rates than patients of those who perform brachytherapy. No, brachytherapy is generally not utilized in this setting. There are case reports of patients who were successfully treated with brachytherapy for bulky recurrences in the prostate bed after radical prostatectomy, but this circumstance is rare.